One of my current clients has a large Victorian house in Balham for which she needed my help to choose colours for most of the rooms. She's a very creative person and not afraid of colour or dark interiors so it was a joy to work with her. Not sure her husband always agreed though! For example he came home to find the front door painted yellow which he hated so by the next day she had painted it dark grey!! 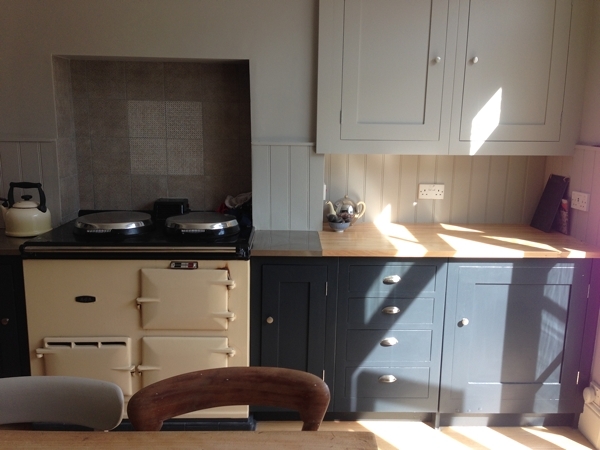 This client loves grey but isn't afraid to introduce pops of colour. 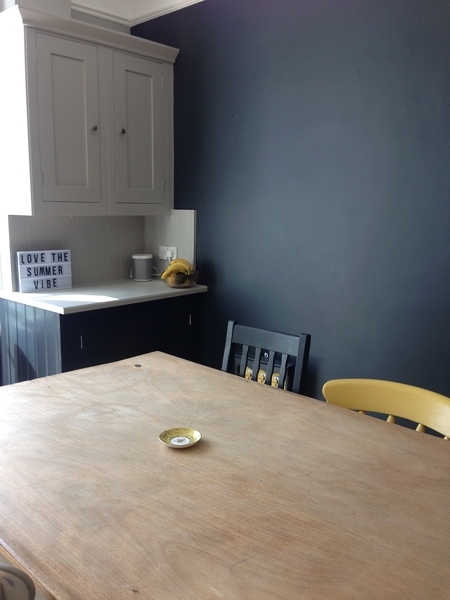 I used Farrow and Ball colours for the whole house as it's the most popular brand of paint in this neck of the woods! 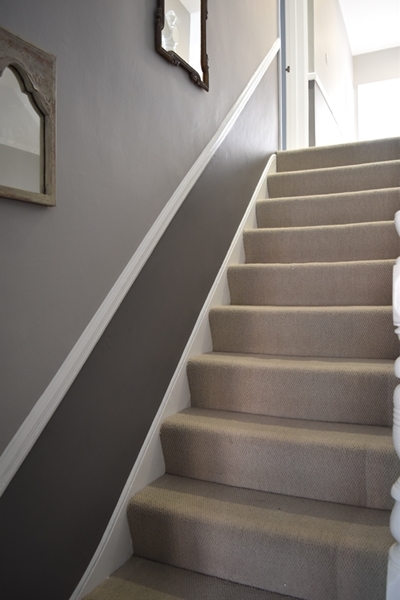 For the hall, stairs and landing I chose Mole's Breath below the dado rail, a white dado rail and Purbeck Stone above the dado. At a later date when budget permits, we'll add a colourful stair runner up the first flight of stairs and new carpet on the first floor landing and above. 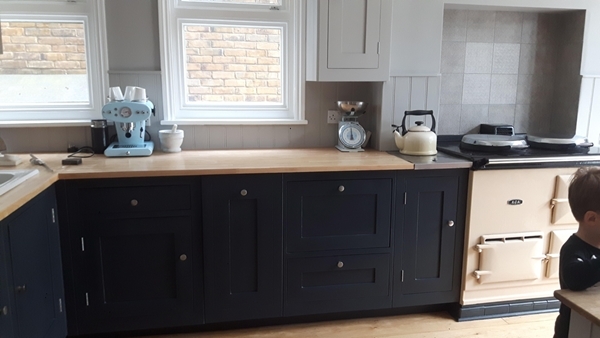 The kitchen was next and I chose a palette of two of my favourite Farrow and Ball colours - Railings which is a soft black with blue undertones and Purbeck Stone with pops of yellow provided by painting some of the kitchen chairs in Babouche. The walls and upper units are both Purbeck Stone. Having them the same colour means the units blend into the wall rather than dominate the space. Lower units are Railings and I also painted a whole wall of Railings opposite the units where a large piece of art will hang. I encourage my clients to have some fun in the ground floor loo/cloakroom especially if they are afraid of colour. It's a small space and not somewhere you linger so why not have a wow factor?! For this loo I chose Downpipe on the walls and woodwork with a pop of yellow provided by the mirror painted in Babouche. Don't be afraid to use a grey palette but do introduce some colour. Also, don't be afraid to paint a room in a dark colour. However, beware as it can look dramatic or fall horribly short and look downright "naff" if you have too much contrasting white woodwork. Get some professional advice if you are unsure.